In my previous blog, I demonstrated how to integrate the Coin Slider library in a Liferay portlet without having to develop any portlet. 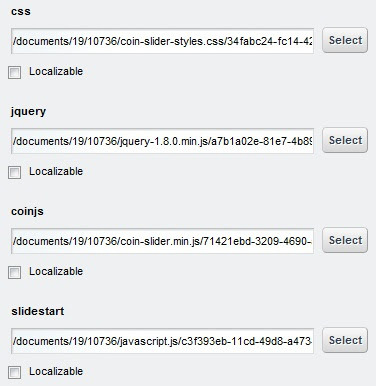 Coin Slider is a jQuery based image slider with many effects for image transition. That demonstration was based on Liferay 6.0.5. With Liferay 6.1.1 now available, I decided to try my own example and see whether the steps still hold true for the latest version of Liferay. And guess what, it does! That's the power of Liferay! Congratulations to the Liferay Team! So here I demonstrate the same example with updated screenshots for the benefit of the community. Next, upload few images that you want to display in the slider in the Document and Media Library. There are 8 images in the library above. Click Update button when done. Click Save again in the main dialog. Now is the time to add the slider in our page. Add Web Content Display portlet to the page where you want the slider. 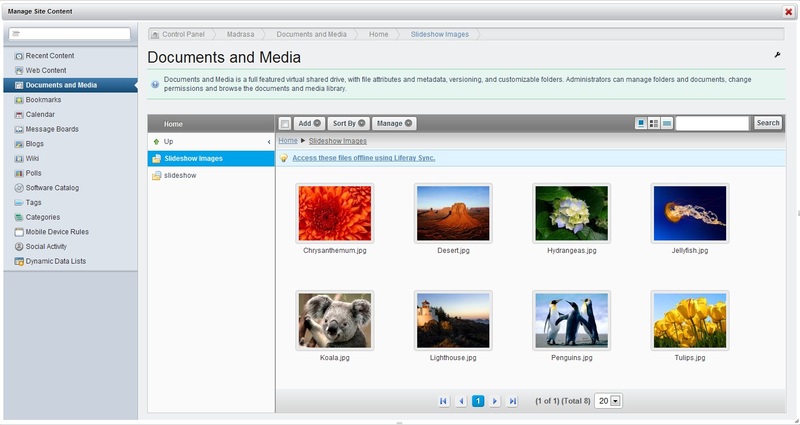 Click the Add Web Content link in the portlet to create content for the portlet. In the new dialog box, give a name to the content, say Slideshow. 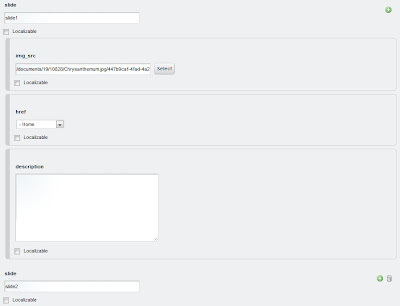 Change the structure of the web content by clicking the Choose button under the Structure section on the right. Select the structure coin-slideshow that we created earlier. This will automatically choose the template that we associated with the structure. 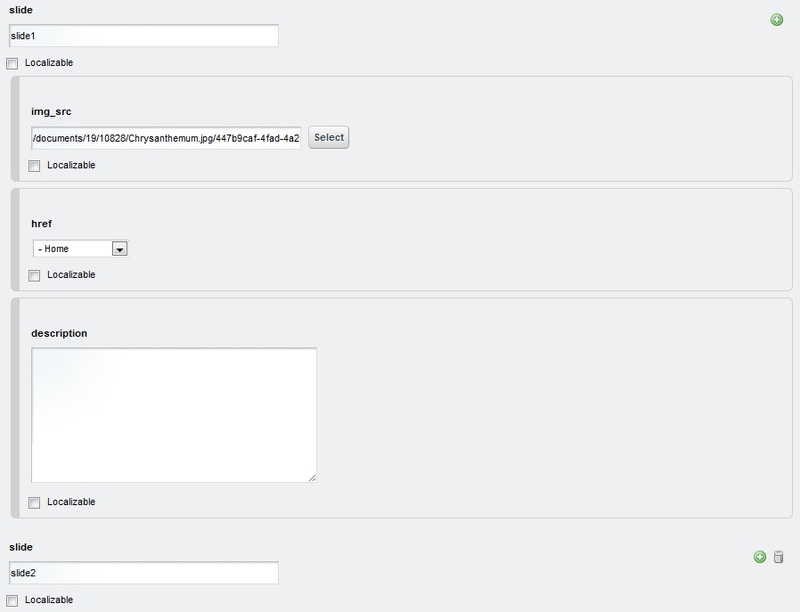 Instead of the HTML editor, a web form with fields are shown. Click Publish button to save the content and make it viewable.